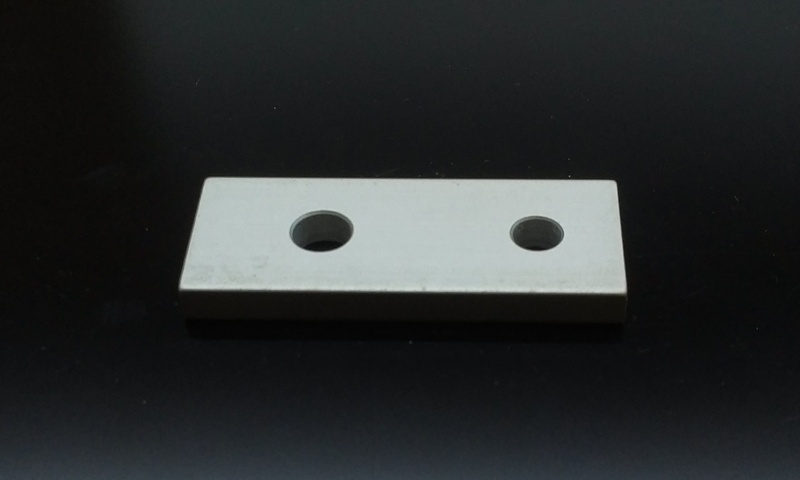 10 to 15 Series 2 Hole Transition Flat Plate. The 2 hole – straight transition flat plate connects profiles within the same product type (either fractional or metric) but of differing series. It is an external fastening method that requires no machining services. This option is reconfigurable and reusable and can provide infinite positioning along the profile T-slot, allowing for a large degree of adjustability. This plate measures 2.5″ x 1″ x 3/16″ thick. The distance between the two holes is 1.25″, one hole is Ø0.328 and the other is Ø0.257.